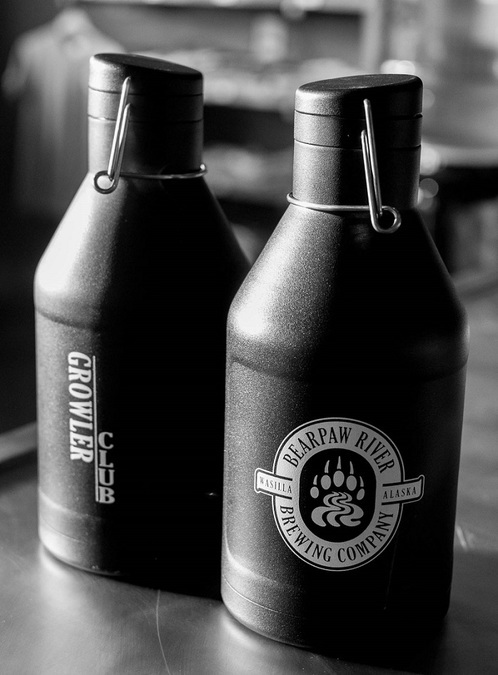 The title probably gave it away, but the BIG NEWS here at the brewery is that we have officially launched our Growler Club. 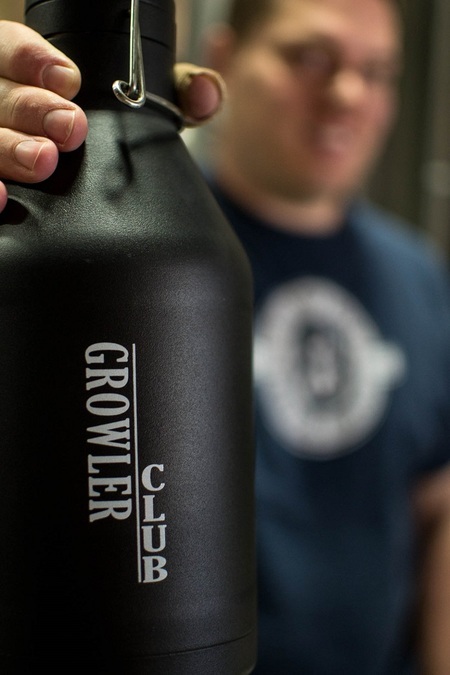 So what is a Growler Club? Well, like growlers themselves these kinds of clubs come in many shapes and sizes, but what they all have in common is that they are designed to help local craft beer drinkers get the freshest beers to enjoy at home, and to get a good deal while they’re at it. Basically it’s a way for small craft breweries to say “Thank You” to their locals. But wait a tick. 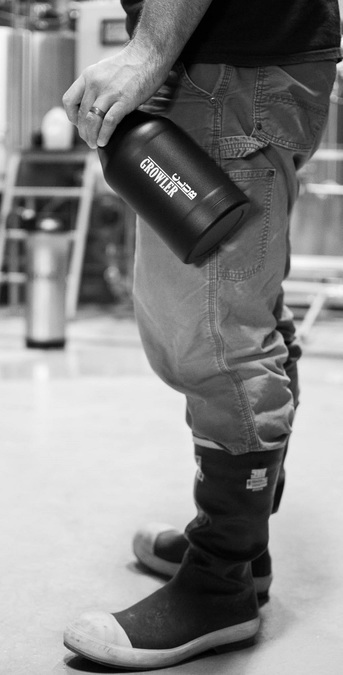 The BRBC Growler Club adds a crucial twist: while we’re all for everyone sharing delicious craft beer at home with family and friends, we chose a top-of-the-line stainless steel growler to keep our beer cold, fresh, and safe while you are out doing whatever adventurous things you do in the Alaskan wild. In fact, our growler was recently ranked as the “best outdoor beer growler” by backpacker.com: a limited-edition double-walled stainless steel MIIR growler, and we’ve got it in black with dual BRBC and Growler Club logos. In addition to its serious street cred for keeping craft beer fresh in the harshest conditions, the MIIR growler also supports a good cause: each growler purchased provides one person in need with clean drinking water for one year. The growler comes with an “impact bracelet” so you can see the specific water project you are supporting, including GPS coordinates and photos. Check out a short video about it here. A BRBC Growler Club MIIR growler (deets above, in case you skipped that paragraph). $2 off growler fills FOR LIFE (limit two fills per day). 15% off all brewery merchandise FOR LIFE. A durable plastic Membership Card with your name and Membership number. A lifetime of tremendous respect from family, friends, peers, and even frenemies, plus a guaranteed coolness factor increase of at least 76% (+/- 3% margin of error). So what’s the catch, you might ask? Well, we think this Club is a huge win for all, but as with many good things in life (like purchasing a snowmachine in September, or buying an engagement ring) there are a few up-front costs. We have only 50 MIIR growlers and therefore only 50 Memberships available. Some of your friends (the ones who miss out on the Club) will be super jealous. “So how do I sign up?” we hear you asking. Simple. Just swing by the taproom and we’ll give you your MIIR growler and membership card on the spot, plus a pat on the back. Alternatively, you could PM us on Facebook and we can reserve one for you. Easy peasy.